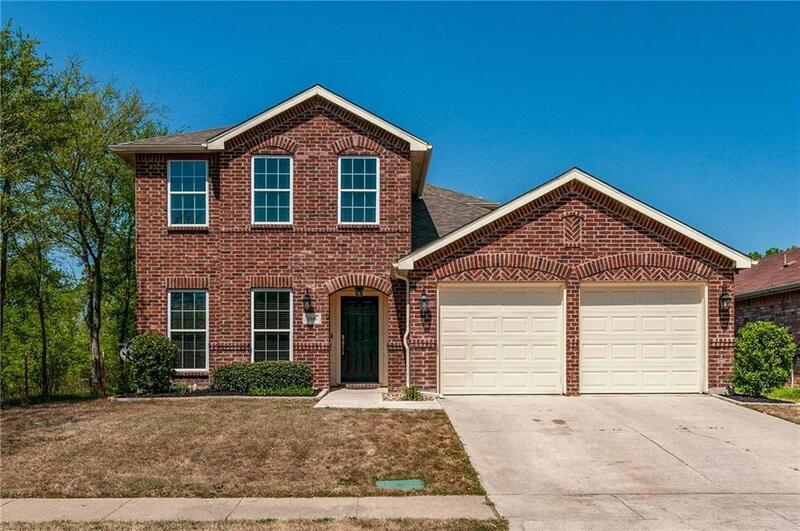 Truly amazing home in beautiful Lost Creek neighborhood in North Fort Worth. This home has been completely updated with wood, stone, ceramic and carpet flooring. Kitchen has granite counters, back splash, stainless steel appliances, large custom done covered patio with fire pit area, sprinkler sys front and back, master bedroom down and 3 bedrooms and game room upstairs. Last home on the street and adjacent to a green belt area. This home has everything you're looking for.